Today’s rate environment means it’s harder to earn more on your CDs and reach your goals. By “laddering” with longer term CDs you can earn higher yields while still having cash regularly available without penalty. 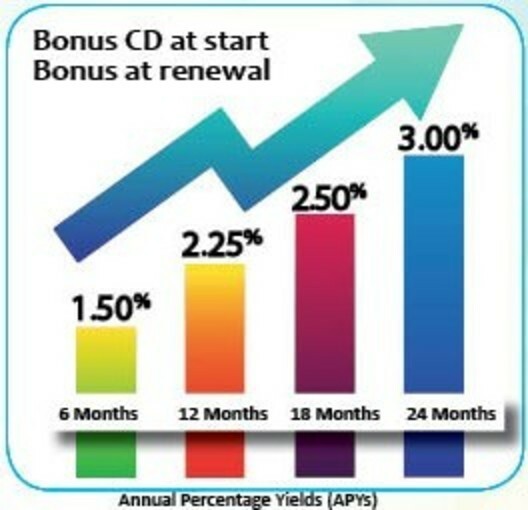 Amboy Bank is offering both a starting and renewal bonus to make this classic CD strategy even better. Come celebrate our 20th year of being Voted Best Bank! With a minimum of $20,000 and maximum of $250,000 you divide your money evenly and open 4 CD’s with 6, 12, 18 and 24 month terms. New money only. CDs automatically renew into a 24 month CD with a bonus rate that is 0.10% higher than the prevailing 24 month rate, as long as all four CDs are on deposit at time of renewal. There is a penalty for early withdrawals. 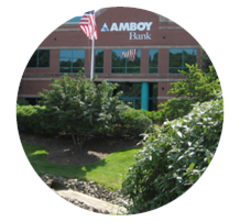 Simple interest will be credited annually to an Amboy deposit account. Rates and offer may be modified at any time. Other conditions may apply.